We believe great awareness leads to meaningful action. Let’s join forces and raise awareness of colorectal cancer together to prevent future cases and save lives. There are so many options for you to get involved. Host an event, share your story, apply to be an ambassador, or become a social media champion! Ready to get inspired? Want to host an awareness event? We can help! Awareness events can be big or small. Some of the most common awareness events take place at workplaces, schools, sports arenas, doctor’s offices, and churches. Consider hosting an event during colorectal cancer month in March. The event can be all about colorectal cancer, or it can be part of a larger event, like a wellness fair for example. Your event can be anywhere you go that you want to make people aware of colorectal cancer! Need some ideas? Check out photos from other local events. Need someone to walk you through it? Contact our Volunteer Coordinator. Fight CRC has brochures, magazines, bracelets, posters, pins, yard signs, and more for you to give away at your event and build colon cancer awareness. Our literature covers the symptoms of colorectal cancer, risk factors and screening options. To get materials for your event, let us know what you’re hosting and we will be in touch! You can also buy t-shirts and gear in our online store. Many events also make great fundraisers! It can be super simple – place one of our donation boxes at your workplace, another local business or on a welcome table at your event. If you need an event idea, plan a Sparks of Strength event! These events can be big or small. They’re a perfect way to raise colon cancer awareness, support survivors and remember those we’ve lost to the disease. Fight CRC can help you plan the event and get the supplies you need. Fundraising is optional, but not required. We offer clothing for both infant and children, as well as coloring pages to distribute throughout your classroom or home. Every March, Fight CRC works to raise awareness of the importance of screening with a national campaign. As an advocate community, we set out to change the impact of colorectal cancer for millions of others. We provide education, resources, and tools to explain the disease is preventable with screening, and highly beatable and treatable if caught at an early stage. We share our stories and flex a #StrongArmSelfie everywhere we go. 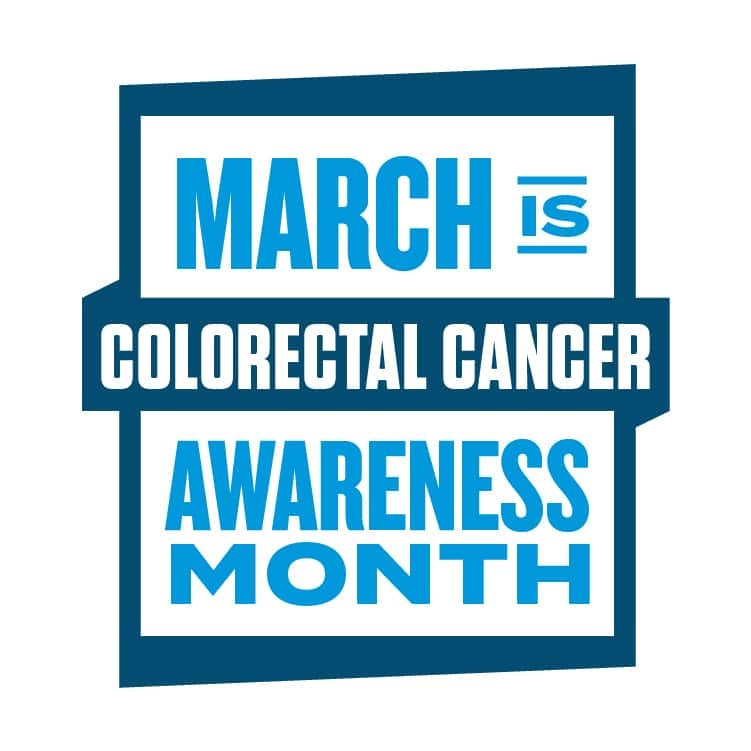 March Colorectal Cancer Awareness Month empowers survivors, caregivers and loved ones to share their stories, raise awareness, advocate for policy change and support research. We’re determined to stop the second-leading cause of cancer deaths of men and women combined from taking more lives. Learn more and get involved at GetBehindACure.org. Our Ambassador program is for those who are raising so much awareness online, they’re ready to take the next step and get live, in-person training. Ambassadors are individuals impacted by colorectal cancer who become a “face” to the disease. They champion awareness by telling their stories and getting involved in advocacy. During training, they get information about how to represent Fight CRC, be an advocate, fundraise and support research. Social media is an incredible way to raise awareness. We’re always looking for champions to share content and spread the word. During our events, we look for active online users to help us. Make sure you follow us @FightCRC. Social media champions share our content, tag us when applicable, and share information to raise colon cancer awareness. We have several prevention resources that can help you share the knowledge and encourage others to get screened! Occasionally we need volunteers to help with social media during our events. Check out our current volunteer opportunities.